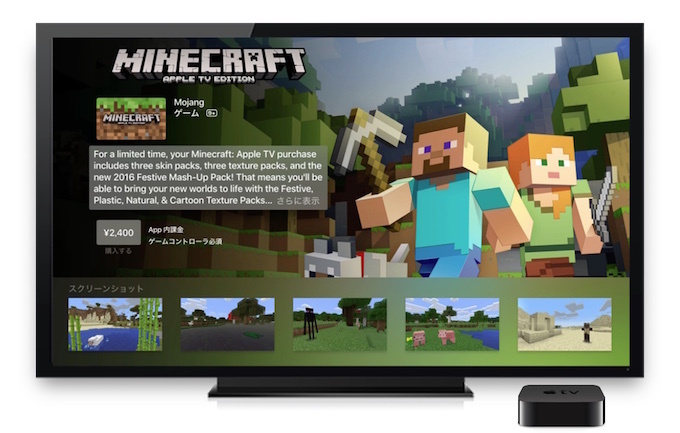 Mojang、Apple TV(第4世代)向けに「Minecraft: Apple TV Edition」をリリース。 | AAPL Ch. 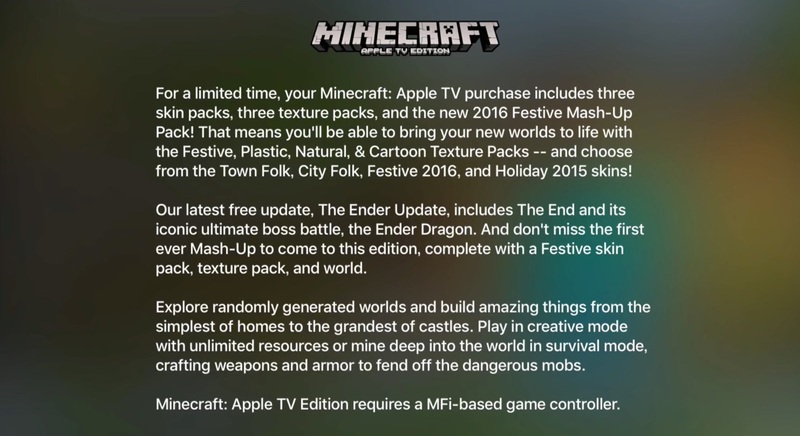 Minecraft: Apple TV Edition currently includes the Holiday 2015, Town Folk, and City Folk skin packs, along with the Plastic, Natural, Cartoon, and Festive 2016 mash-ups. It costs $19.99 and is rolling out in all regions as I type. minecraft.net – Apple TV Edition released!